There's a not so subtle mantra we like to employ, oh, right around the 4th of July. If you love the stars and stripes, you know, the USA, you better show it off! Of course, most folks feel that way around the Fourth but upon further reflection, we don't think the feeling should be constrained to the first week in July. That's right, when you reside in America, you should always be ready to show off the USA! Naturally, the best way to do that is with some premium apparel. 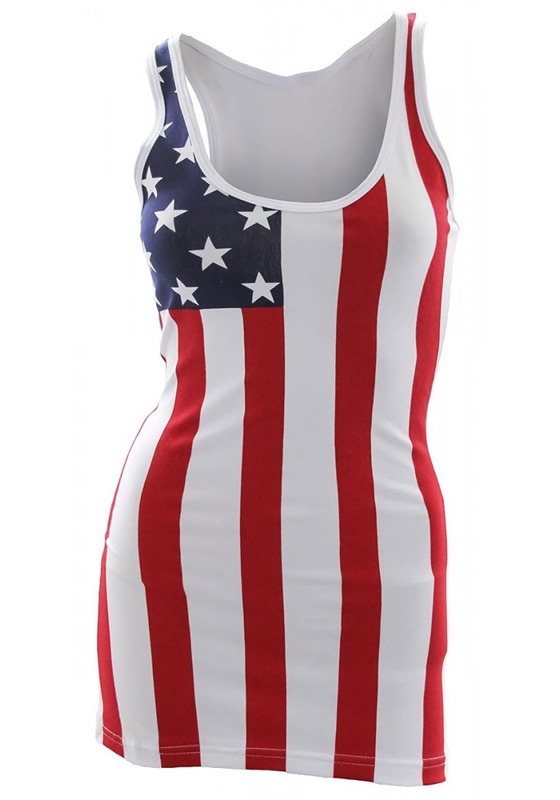 So, that's why we've got this Women's USA Flag Cover-Up Tank Top ready for you! A stylish star spangled selection, this USA Flag Tank Top is made with 90% cotton and 10% spandex for the right fit and just the right amount of stretch. A flag pattern is printed in the front, and it's cut in an extra-long cover-up style that hits at the upper thigh. 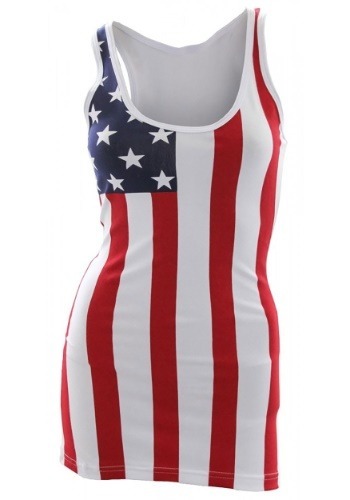 This tank top might work as a component of an America themed costume, or you could just wear it to pay respect to the USA. We're all about costumes at Halloween, but we think other major holidays can always use a little extra fun as well. So any time you can work in some costume fun is alright by us!